Reprinted with permission from Project CBD. In 2009, a handful of CBD-rich cannabis strains were discovered serendipitously in Northern California, America’s cannabis breadbasket, where certified patients could access medical marijuana legally. Thus began a great laboratory experiment in democracy involving CBD-rich cannabis therapeutics. The advent of whole plant CBD-rich oil as a grassroots therapeutic option has changed the national conversation about cannabis. It’s no longer a question of whether medical marijuana works—today the key question is how to use cannabis for maximum therapeutic benefit. But most health professionals have little experience in this area. So Project CBD has created a CBD User’s Manual for patients that addresses key questions about cannabidiol and cannabis therapeutics. Cannabidiol and THC (The High Causer) are the power couple of cannabis therapeutics; they work best together. CBD and THC interact synergistically to potentiate each other’s curative qualities. CBD enhances THC’s painkilling and anticancer properties, while lessening THC’s psychoactivity. CBD can also mitigate adverse effects caused by too much THC, such as anxiety and rapid heartbeat. When both compounds are present in sufficient amounts in the same cannabis strain or product, CBD will lower the ceiling on the THC high while prolonging its duration. (“Relaxing but not intoxicating” is how one patient described CBD-rich cannabis.) CBD broadens the range of conditions treatable with cannabis, such as liver, cardiovascular and metabolic disorders, which may be less responsive to THC-dominant remedies. CBD and THC both stimulate neurogenesis, the creation of new brain cells, in adult mammals. Some patterns are beginning to emerge. 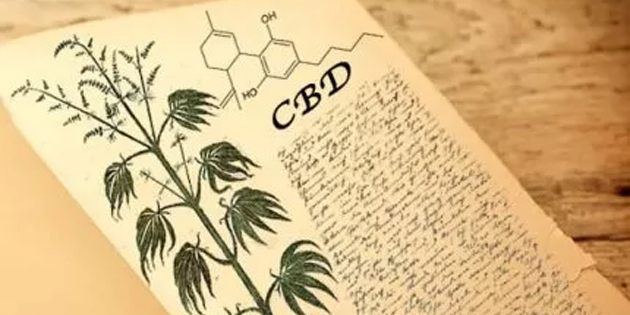 For anxiety, depression, spasms, psychosis, and seizure disorders, many people report they do well starting with a small dose of a CBD-rich remedy with little THC. For cancer, autism, and many other diseases, some say they benefit more from a balanced ratio of CBD and THC. Extensive clinical trials conducted outside the United States have shown that a 1:1 CBD:THC ratio can be effective for neuropathic pain. Some people use cannabis products with different CBD:THC ratios at different times of the day (more CBD for sunlight hours, more THC at night). Almost any cannabis strain or product theoretically could benefit a wide range of autoimmune and inflammatory disorders because THCand other cannabis components activate the CB2 cannabinoid receptor, which regulates immune function. Note: The CBD:THC ratio in not an indication of how much CBD or THC is present in a given cannabis product or strain. If you live in a state where medical marijuana is legal and available, look for CBD products made from high-resin cannabis (rather than low resin industrial hemp) that are sold in medical marijuana dispensaries. Hemp-derived CBD-infused products of varying quality are also available via dozens of internet storefronts. Compared to whole plant CBD-rich cannabis, industrial hemp is typically low in cannabinoid content. A huge amount of hemp is required to extract a small amount of CBD, thereby raising the risk of contaminants because hemp, a bioaccumulator, draws toxins from the soil. That’s a great feature for restoring a poisoned ecosystem, but it’s not recommended for extracting medicinal oil. Heavily refined CBDpaste or terpene-free CBD powder is poor starter material for formulating CBD-rich oil products. The FDAhas tested dozens of so-called CBD “hemp oil” products and found that in many cases these products contained little or no CBD. CBD-infused nutraceuticals have not been approved by the FDA as food supplements; nor are these products legal in all 50 U.S. states. By and large, however, interstate CBDcommerce is tolerated by federal authorities.